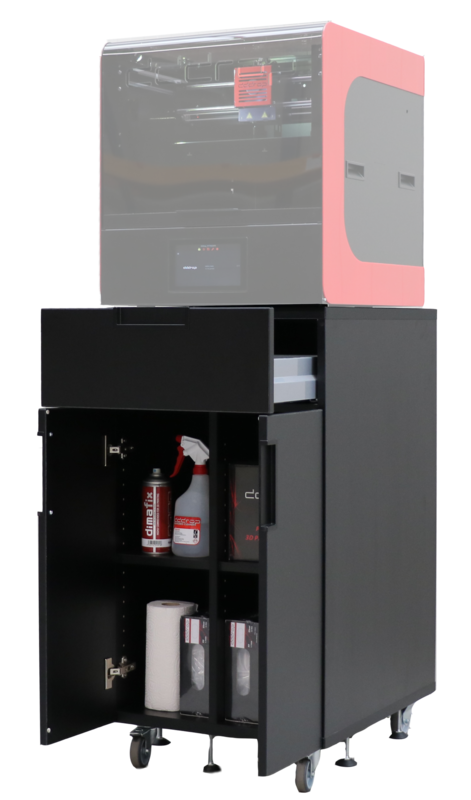 The design of this cabinet is fully tuned to the dddrop 3D printers, for an uniform look. 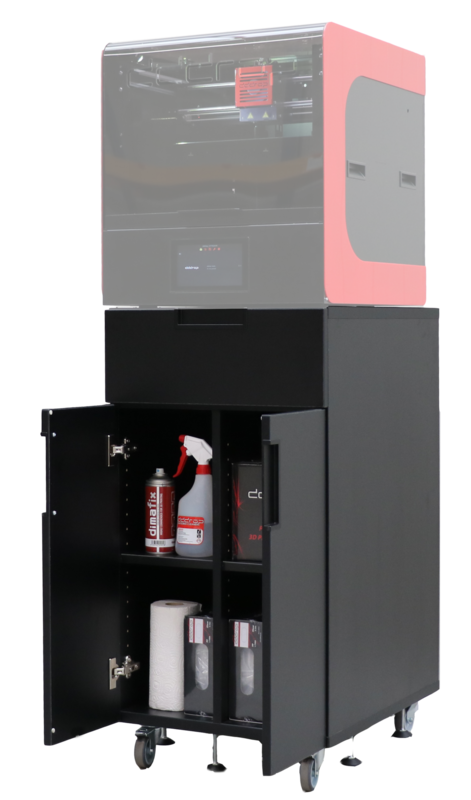 Another important aspect in the design process was the stability of the cabinet, in order to optimize the printing process as much as possible. 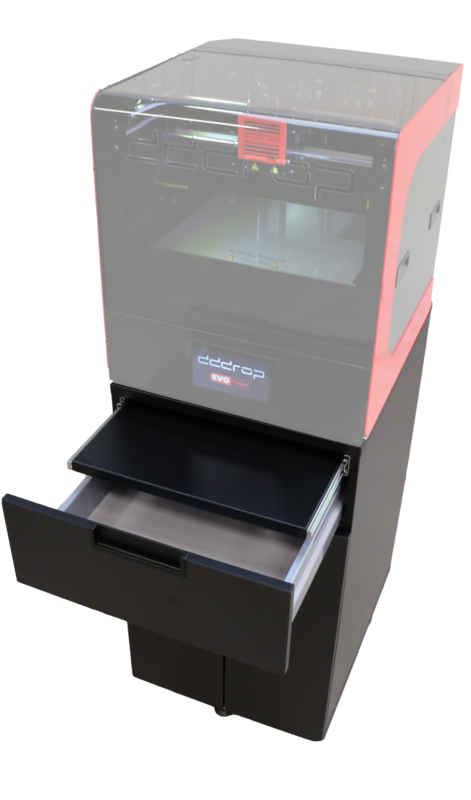 This results in a robust mobile cabinet, where the printer is at an ideal working height and where there is sufficient storage space for filament, printer bed cleaner and other accessories. With the extendable platform (optional) you always have your tablet (with the dddrop smart module) or other accessories close by. 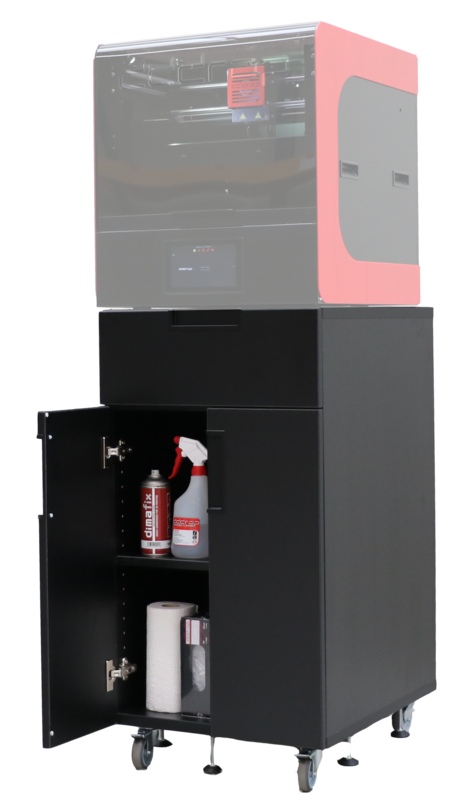 Because of the mobility of the cabinet, the filaments are easy to change at the back of the printer. 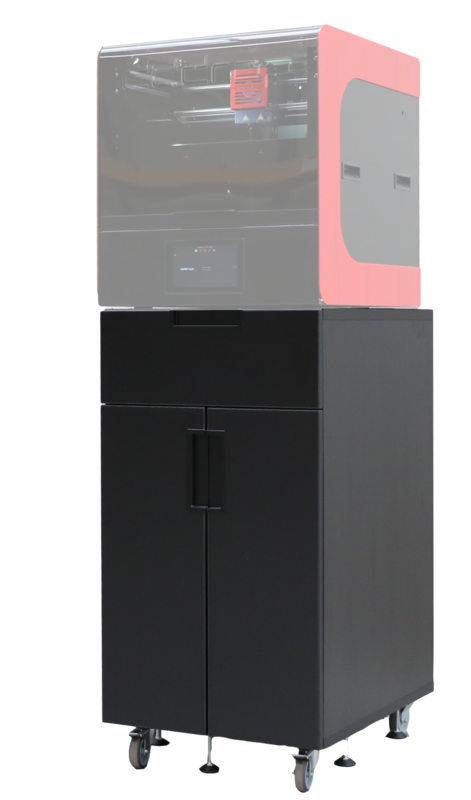 Note: the price € 695, – is exclusive 3D printer.